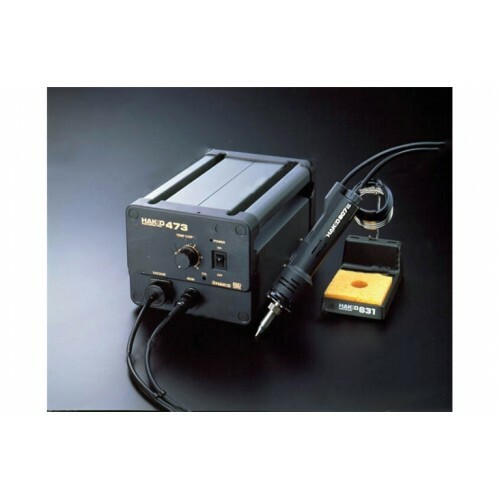 Refurbished 473-1 desoldering station requires 70 PSI shop air to create the vacuum, 807 60 Watt pencil-style handpiece, Handpiece holder, Operators Manual, 120vac 60Hz, 3 wire cord. ___Note: Handpiece holder may not be as depicted in the photo. Holder may be mounted on the side of the station. ___SPECIAL BONUS: 2 Desoldering tips of your choice FREE with purchase of any Hakko desoldering station ($34 value).